Bob Pacanovsky is what you might call a “Wow!” expert – with 20 years of entrepreneurial experience, primarily in the hospitality space, he has learned how create engagement, retention, and loyalty with customers, employees, and clients. 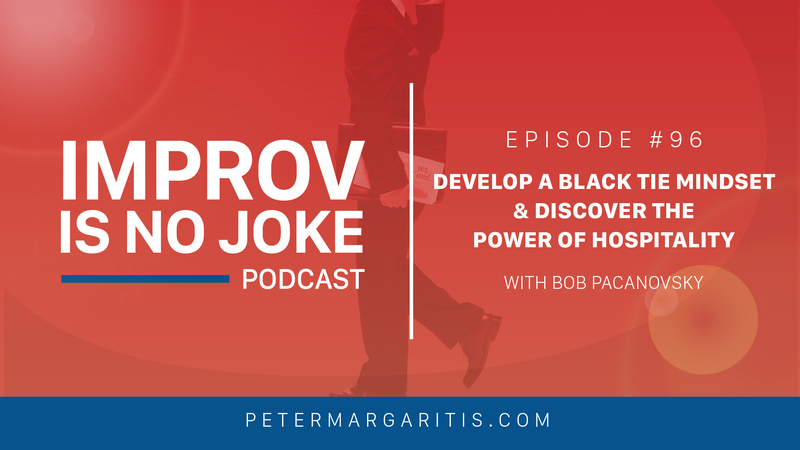 Bob took that expertise and founded The Black Tie Experience, which helps companies and leaders create that Black Tie Experience for their customers and employees. One of the most important things to keep in mind – and this can be difficult – when working with other people, whether they’re your customers or employees, is that it’s not about you as a host or leader, it’s about them. A Culture of Welcome – Create a welcoming culture (not only for your employees, but also for your customers or guests). What is the culture, or the atmosphere, like in your company? The Way of Doings Things – What is your company’s way of doings things? Disney, Apple, and Starbucks all have their own unique way of doings things, and it affects how you experience their brands. However, most companies aren’t spending enough time training their employees to wow people. Impact Points – These are the subconscious impressions that people make about your business before, during, or after they purchase something. For example, what impression does your website make, or what does your restroom look like? Put Yourself in your Customer’s Shoes – What does your customer see, hear, touch, or smell when they come into your business, or interact with you online? You’ve probably heard me say in the past that we’re all in the people business, even if we’re accountants – Bob takes it a step farther, arguing that we’re all in the hospitality business… and it makes a lot of sense! The definition of hospitality is, “The art of making that personal connection with someone,” and based on that definition, aren’t we all in the hospitality business, first and foremost? So yes, we are in the people business, and we do need to focus on customer and employee experiences and retention, but we can’t excel at those things if we forget about the power of hospitality.